Feb. 14, 2000, where it spent a year collecting images and other data before touching down on Eros's surface. Prior to this, spacecraft on the way to their primary targets, or as part of their overall mission, made close flybys of several asteroids. Although the time spent close enough to these asteroids to resolve them was a fraction of the asteroids' rotation periods, it was sufficient to image the portion of the surface illuminated at the time of the flyby and, in some cases, to obtain mass estimates. 5,000 km (3,107 miles), established that Gaspra, an S-class asteroid, is an irregular body with dimensions of 19 * 12 * 11 km (12 * 7 * 6.8 miles). Pocked with numerous small craters, Gaspra has an irregular shape and groovelike linear markings that suggest it was once part of a larger body that experienced one or more shattering collisions. 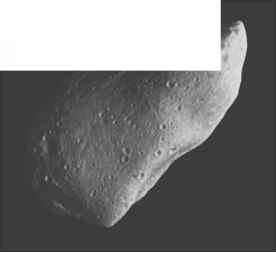 Asteroid Ida and its satellite, Dactyl, photographed by the Galileo spacecraft on August 28, 1993, from a distance of about 10,870 km (6,750 miles). 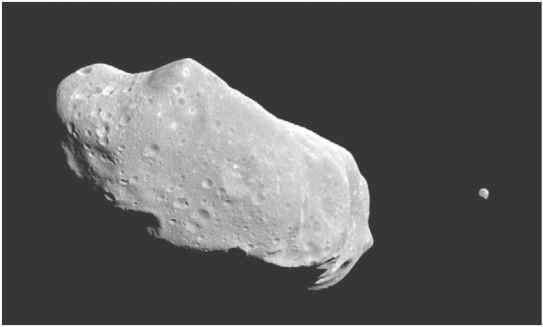 Ida is about 56 km (35 miles) long and shows the irregular shape and impact craters characteristic of many asteroids. 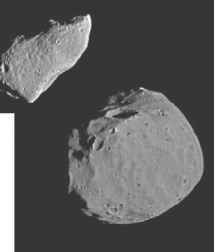 The Galileo image revealed that Ida is accompanied by a tiny companion about 1.5 km (1 mile) wide, the first proof that some asteroids have natural satellites. Photo NASA/JPL/Caltech examination of the images it took revealed a tiny object in orbit about the asteroid. Indirect evidence from as early as the 1970s had suggested the existence of natural satellites of asteroids, but Galileo provided the first confirmed instance of one. The moon was given the name Dactyl, from the Dactyli, a group of beings in Greek mythology who lived on Mount Ida in Crete. Eugenia likewise has a moon. Once the orbit of an asteroid's moon has been established, it can be used to derive the density of the parent asteroid without knowing its mass. 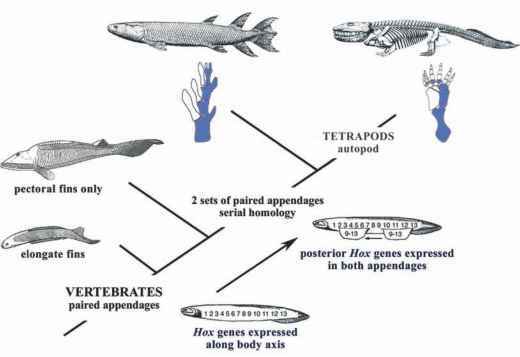 When this was done for Eugenia, its density turned out to be only 1.2 g/cm3 (0.7 oz/in3). This implies that Eugenia has large voids in its interior, because the materials of which it is composed have densities greater than 2.5.
km (35 miles), Mathilde is a main-belt asteroid and was the first C-class asteroid to be imaged. The object has a density similar to Eugenia's and likewise is thought to have a porous interior. In July 1999 the Deep Space 1 spacecraft flew by (9969) Braille at a distance of only 26 km (16 miles) during a mission to test a number of advanced technologies in deep space, and about a half year later, in January 2000, the Saturn-bound Cassini-Huygens spacecraft imaged asteroid (2685) Masursky from a comparatively far distance of 1.6 million km (994,194 miles). The Stardust spacecraft, on its way to collect dust from Comet Wild 2, flew by the main-belt asteroid (5535) Annefrank in November 2002, imaging the irregular object and determining it to be at least 6.6 km (4 miles) long, which is larger than estimated from Earth-based observations. The Hayabusa spacecraft, designed to collect asteroidal material and return it to Earth, rendezvoused with the Apollo asteroid (25143) Itokawa between September and December 2005. It found the asteroid's dimensions to be 535 * 294 * 209 metres (1,755 * 965 * 685 feet) and its density to be 1.9 g/cm3 (1.1 oz/in3). The European Space Agency probe Rosetta on its way to Comet Churyumov-Gerasimenko flew by (2867) Steins on Sept. 5, 2008, at a distance of 800 km (500 miles). Steins was the first E-class asteroid to be visited by a spacecraft and had a chain of seven craters on its surface. Rosetta is scheduled to fly by (21) Lutetia, an M-class asteroid, on June 10, 2010, at a distance of 3,000 km (1,900 miles). The most ambitious mission to the asteroid belt is that of the U.S. spacecraft Dawn, which was launched on Sept. 27, 2007. Dawn will arrive at Vesta in September 2011 and will orbit Vesta until June 2012, when it will leave for Ceres. It will arrive at Ceres in February 2015.